Research from the past few years proves that email remains to be among the strongest channels for reaching customers and communicating your marketing message. 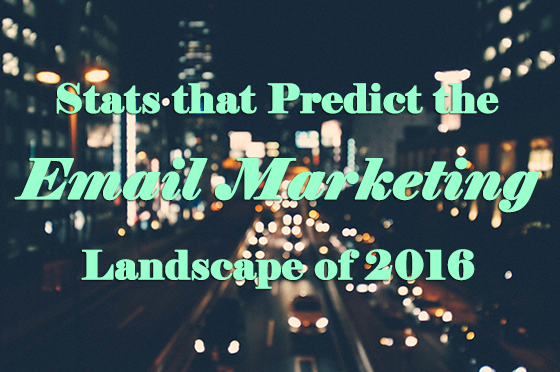 With 2016 just around the corner, we wanted to take a look at some email marketing statistics that caught our eye. Email marketing ranks highest on ROI compared to other marketing strategies (Direct Marketing Association Annual Report). Each email marketing dollar goes further to efficiently engage potential customers and drive conversions compared to social, television, physical mail, and paid search advertisements. Email campaigns also are relatively low-risk investments with highly measurable results. 78% of consumers rank email as the most preferred communication platform (MarketingSherpa). In a world saturated with media competing for attention, consumers see their inbox as their personal vista. Email has the potential to connect to your customers when they are attentive and ready to enjoy a personalized communication. 91% of consumers check their email at least once a day from a mobile device (eMailmonday). Email is one of the only ways that a consumer can be reached while they are not at their computers or televisions. The top quartile of companies had transactional email click-through rates six times larger than the median (IBM SilverPop Benchmark Study). When the top 25% of businesses happen to have extremely effective email communications, it only follows that well-crafted email campaigns still develop customer relationships and drive sales. When you’re planning next year’s budget, remember that consumers are saying that they are checking their email inboxes every day, looking forward to personalized communications. If you are looking for a low-risk, high-return marketing strategy, consider an email marketing campaign in 2016! The evolution of data analytics has been one of the most important developments in the history of marketing. Having the ability to collect, understand and integrate customer data has opened up the possibility of learning more about what really drives an audience to engage, purchase and share. With the abundance of technology and innovations available to capture all the customer data they need, marketers are fast becoming data and analytics experts. 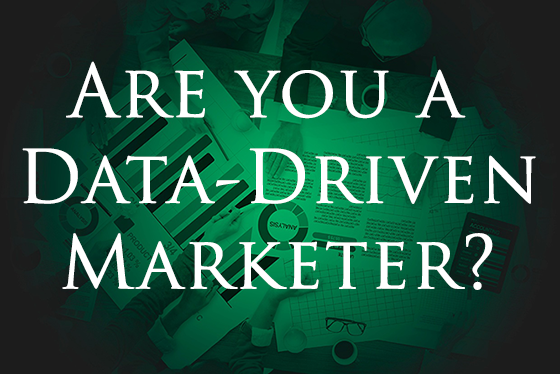 But are you one of these data-driven marketers? Read below to find out! You know your data goals. Customer data can be extracted from many internal and external sources – analysis software, big data, competitive intelligence reports, on and off-site customer interactions, online surveys, landing pages, social media, and more. With so many options it can be overwhelming, but a data-driven marketer thinks about what they want to achieve with the data prior to looking for the source. Whether you want to discover why traffic dropped over a certain period, or gather personal data to improve customer experience, knowing your goals beforehand will allow you to look only in the most relevant places for the data that will actually be useful to you. You identify opportunities from data. Insights to be garnered from customer data are not usually black and white. A data-driven marketer will ask the analytical question: why? Asking why helps marketers stay focused on change, improvement, and optimization. After you obtain the information you were seeking, it is easy to think that you have come to a conclusion. However, data-driven marketing involves continual interpretation and openness to identifying new opportunities that you may not have originally set out to discover. You use data to supplement, instead of substitute, your marketing strategy. Being data-driven does not mean ignoring creative. Even if you have the most relevant, useful data, your marketing strategy will fail without a strong creative idea. Smart marketers realize that even when data drives the results; it is really the creative that drives the message. By using data to enhance instead of deter creatives, marketers will channel a strategy that yields the most success. Success in today’s marketplace is dependent upon a strategic integration of various marketing approaches. In our last post, we explained 3 techniques that seem to stand out in regards to increasing sales and improving overall marketing efforts. In this post we will focus on perhaps the most effective of the 3: Email. If email isn’t on your list of preferred marketing approaches, then you are missing out! According to BlueHornet’s annual report on consumer views of email marketing, 98% of the nearly 2,000 consumers polled said that they are influenced by marketing emails to make a purchase. With stats like this, it’s easy to see that email should not be overlooked, even if you are a strong proponent of another method. Email & Social Media. Email can help get your social sharing rolling. Send an email newsletter that includes a call to action to share your content or provides an incentive for doing do. Alternatively, you can send emails to influential people and blogs, asking them to share your content and offering to do the same for them. This will connect your brand with theirs and encourage their audience to engage with your audience and brand. Email & Mobile SMS. Email can help pick up some new names for your SMS marketing database. Send a promotional offer through email and ask recipients to text a code to a specific number, which will then respond to them with the discount code. This not only allows you to capture a new phone number, but also engages the customer by offering them something in return. Email & Content Marketing. Email can help you control how you target your content. Set rules to deliver specific content when a recipient interacts in a certain way, such as when they click on a link in the email. You can also include a way for the recipient to choose their preferences for certain types of content. Either way, email will provide a means for you to target the right content to the right consumer, and communicate to them that they can expect personalized, relevant content from your company. Email & Video Marketing. Email can help increase exposure for your videos. Create a regular series of short videos and send links to them as a part of an email blast each week. Email offers a direct-connect with an opt-in audience that will be notified whenever you post another video, jump-starting views and making it easy to share with others (just hit forward!) Also, whenever a subscriber wants to re-watch or reference your video, they won’t have to look any further than their inbox. 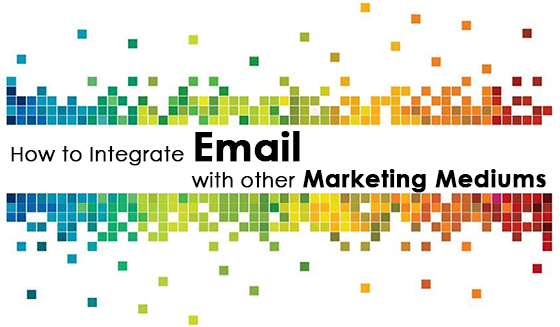 How have you integrated email with your marketing mix? Leave us a comment below and share your experience! If you’re a business owner, then you know that there are many different lead generation techniques out there. The strategy that works for one business may not work for the next, and many companies will stick with practices they know instead of taking a chance to try something new. As a result, sales often stagnate or decline. 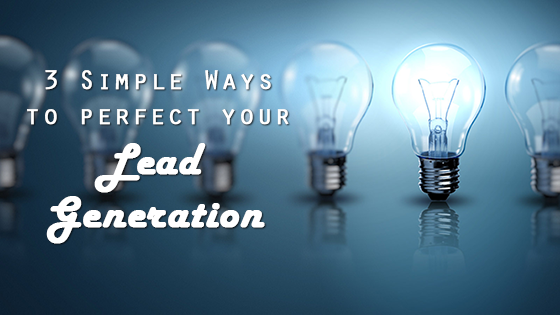 If your lead generation strategy isn’t increasing sales, then it isn’t successful! 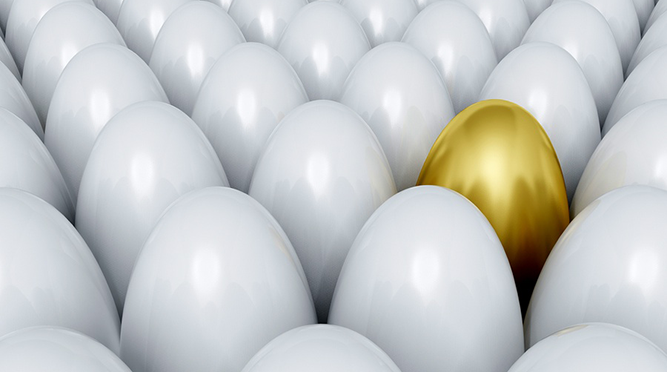 Even when you know who your target audience is, it can be difficult to appeal to them. Email marketing is effective because it is permission-based. It allows you to connect with those you know are already interested, engaging previous customers who can be brought back as new leads. Since email is accessible anywhere today with mobile marketing, customers who want to hear from you are able to conveniently read your messages anytime. It does not require a lot of money to create or maintain a solid email marketing campaign, and you are also provided with the perfect opportunity to test different marketing ideas and observe the ones that receive the most response. Consumers today are wary of outbound marketing efforts and expect a relevant experience, making the need for targeted content more important than ever. Remember that your leads are people. Show them that you value their time by being clear about what you’re offering. Optimize your landing pages to keep registration forms short and make your call to action stand out. Update your social media presence to consistently define your brand’s voice and make it recognizable everywhere. Be exclusive and conversational in your communications to create a sense of uniqueness and increase interest. Fine-tuning every aspect of the customer’s journey for personalization will build trust and make your company stand out from the competition, converting your leads to sales. The longer you’re a part of an industry, the more likely it is that you will be presented with opportunities to collaborate with others in it as well. Invite opportunities to work with marketers and companies that are complimentary to your business and its needs. Determining the ways you can benefit from one another’s skills, expertise and reach will allow you to generate leads for each other. Lead generation strategies developed between companies often provide long-term solutions, and also help improve your industry knowledge and credibility. Implementing these 3 techniques will start you on a good path towards increased sales and provide your company with some simple ways to find out the overall strategy that will work best. Which techniques are you interested in trying for your lead generation? Let us know in the comments! 2015 is here and it’s time to start marking your calendars for the marketing events you’re planning to attend this year. Conferences and events offer the chance to keep up with the latest trends in online marketing from some of the foremost experts on the subject. They’re also a great opportunity to network, get inspired and stay relevant in an increasingly competitive industry. Don’t see an event listed here that you’re attending? Tell us about it in the comments! In today’s email marketing world, we are inundated each week with articles and blogs on new statistics, trends and predictions. Typically the information you see will involve numbers on email engagement, frequency and optimization, but do you ever think about the more unusual stats that are sometimes shared? 2. Moving the unsubscribe link to the top of your emails is better than leaving it on the bottom. This may make it easy for readers to unsubscribe, but that may be what you want. When the number of uninterested readers goes down, the quality of your list goes up. Marketing Consultant D Bnonn Tennant writes about asking readers to unsubscribe on the Unbounce blog, “So your open rates, click rates, and ultimately your conversion rates increase—at the expense of your unsubscribe rate. That’s a good trade.” Many readers are not ideal customers, so removing them from your list helps to maximize ROI. Putting the unsubscribe link at the top may also contribute to your sender reputation, as it encourages uninterested readers to unsubscribe instead of hitting the Spam button. 3. Mobile traffic doesn’t equal mobile conversions. New research from Econsultancy and Adobe in their Finding the Path to Mobile Maturity Briefing Report shows that even though businesses surveyed reported that 31% of their web traffic comes via mobile, 71% of company respondents achieve less than 20% of overall e-commerce revenue through mobile devices. Many researchers have a simple explanation for these interesting stats: fat fingers trying to work on the small screens of mobile devices are clicking accidentally. 4. Older people make some of the best customers. According to a new survey from iProspect, older generations are “time-rich, and, accounting for their lower financial commitments, comparatively cash-rich too. They research online, and are strong believers in the power of search to make their lives easier.” With more time on their hands and more money to spend, older people are more likely to read your email and become your customer than younger people, so put to rest some old stereotypes and have confidence in your older reader. 5. Most readers prefer text emails. HTML email provides many advantages that plain text email does not, such as pretty colors, images and hyperlinks to grab a reader’s attention, but some marketers are beginning to think that plain text formats are so rare, they may actually stand out to a reader more. Founder of Social Triggers, Derek Halpern conducted a survey, finding that 55.1% of respondents said they preferred text emails, with 25.2% saying they “kind of” preferred text, and 19.7% saying they don’t. Halpern further questioned the respondents who said they preferred text, and found that the reasons were a mix between the email being simpler and easier to read, and the text format making them feel more welcomed. This could be because HTML email is associated with one-to-all communications, when one marketer sends to the whole world, but plain text email is associated with one-to-one communications, like our personal messages to friends and family. 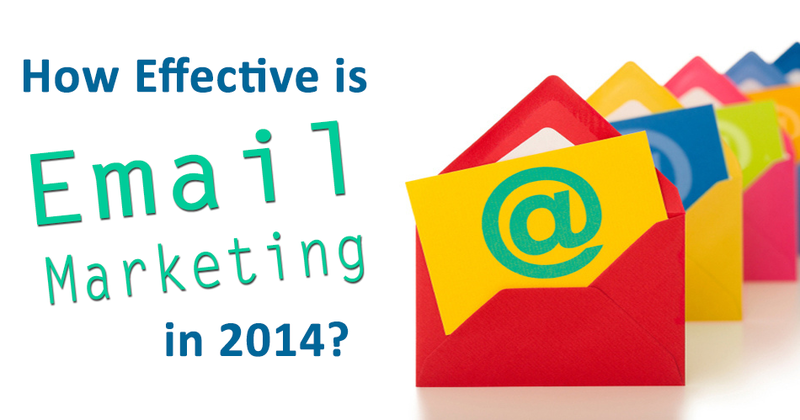 What unusual email marketing stats, tips or facts have you come across in 2014? Feel free to share them in the comments below! Although it is the most affordable way to generate leads for direct marketing purposes, co-registration is often a misunderstood lead generation strategy. Co-registration, or co-reg as it’s often referred to, involves presenting offers and advertisement products from third parties to visitors going through a registration form or process on a website. Leads are gathered when the visitor opts-in to receive information, and with one simple step, the advertiser gains permission to communicate with consumers that have requested information about their offer. Co-reg has largely been seen as a strategy that spammers and purveyors of prize draws and payday loans engage in, but those that think this way fail to understand its power as a lead generation channel. The basic methodology behind co-reg, when applied with care, is to provide the opportunity to build a solid, opt-in database of qualified leads on a cost-per-lead basis. It is effective because it yields the truest quality lead generation, targeting genuinely interested prospects, driving brand awareness and increasing targeted traffic. Keep your ad copy simple, but make it appealing. You only have about 3 seconds to capture the attention of the typical consumer, so your ad copy and graphics should be relevant and have demographic appeal. Describe your product or service in one or two sentences and make sure the consumer understands the benefit of opting in. Use filters to keep your targeting clear and concise. You don’t want to pay for leads that aren’t your target consumers. Make sure you filter out any demographics (such as age, gender, country) that aren’t desirable to narrow down and directly target the audience you want. Follow up with your leads quickly and respectively. Acknowledge your prospects by sending them a welcome email and follow through on what they were expecting to receive. They may not even remember opting in, so sending an email helps drive awareness for your brand and ensures a good first impression. Work with publishers you can trust. Find publishers that have networks with something to offer your audience and ask them where your offer will be placed. They should be able to provide clean examples of how their network operates and how they generate leads. Continually monitor performance. If possible, track and validate all leads at the source. Use real-time analytics so you can quickly monitor lead flow and your customer base. The faster you can understand your performance, the faster you can optimize for conversions. Feel free to comment on this post with any questions or comments if you’d like to discuss co-registration some more! Since the dawn of the social media and mobile technology age, there has been a common misconception amongst bloggers, writers and self-proclaimed experts that email is a thing of the past. However, recent research indicates that this could not be further from the truth. Market research firm Ask Your Target Market conducted a survey last month that shows how email marketing is even more effective than previously believed. The survey found that 58% of respondents said that they “sometimes make purchases because of emails they receive from brands.” This means that nearly 60% of people consider making a purchase, giving marketers an excellent opportunity to increase customer acquisition and drive sales. Additionally, the survey found that fewer than 40% of survey respondents are unlikely to consider making a purchase, with 27% saying that they rarely do, and just 9% saying that they never do. That’s a pretty low number, considering how much spam people also get in their inbox! Although social media and new innovations will continue to take over the traditional ways people think about marketing, email is still a very effective means of communication between brands and their customers. Social media involves more interactions, but the inbox provides a more intimate and private environment, allowing more personal content to attract consumers. Email is also effective because it’s permission-based, meaning the people on your email list have already given you the go-ahead to send them messages! This knowledge, along with Ask Your Target Market’s new survey, confirms that there are great opportunities ahead for those that invest in email marketing. Even with the variety of ways to promote brands and products nowadays, marketers that keep up with the latest strategies for optimizing their emails will be the big winners in the end. 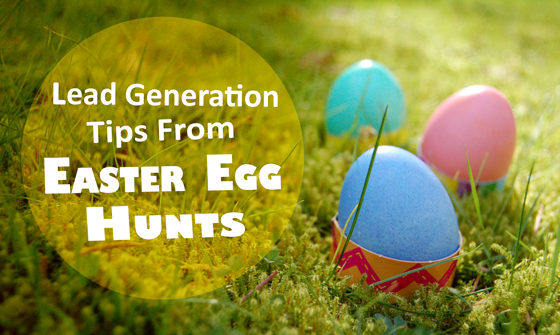 What other marketing ideas can you draw from Easter Egg Hunts? Let us know in the comments! Have you been looking for some marketing conferences to attend this year? Look no further! Marketing events and conferences can be a great opportunity to generate more leads, whether you want to brush up on your skills, learn the latest trends, gain exposure for your business, or simply expand your network offline.